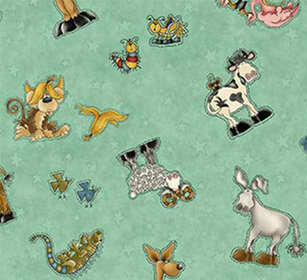 WHY, CHILDREN'S FABRIC, Light Teal Characters Cotton Fabric by Leanne Anderson for Henry Glass and Company. 44-45 inches wide. Why Light Teal multi tossed characters cotton fabric from the Why Line of fabric from Leanna Anderson for Henry Glass and Company. 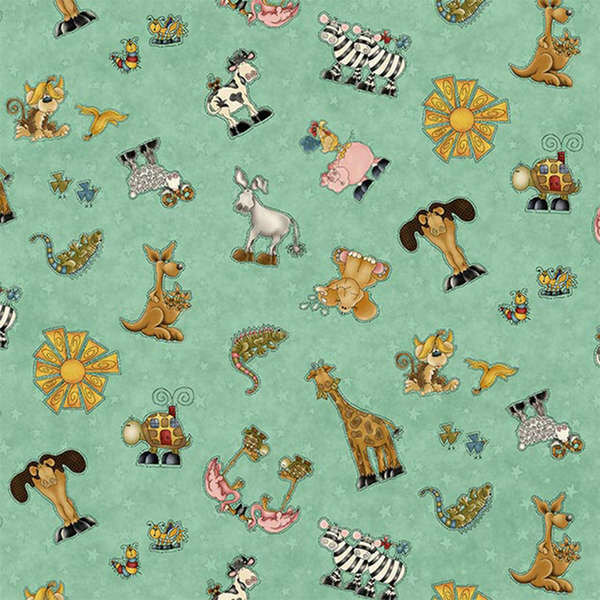 A beautifully colored light teal fabric with multi colored baby animals to add a whimsical tone to this fabric. 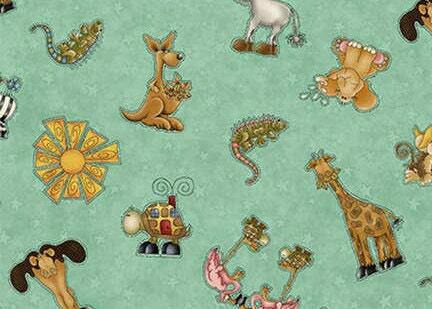 This fabric is 44-45 inches of quality cotton fabric for quilting, crafting and general sewing. All fabric from The Quilted Nursery Fabric Store is cut directly from the bolt with generous cuts with same day shipping! Nice fast shipping, I'll shop here again.